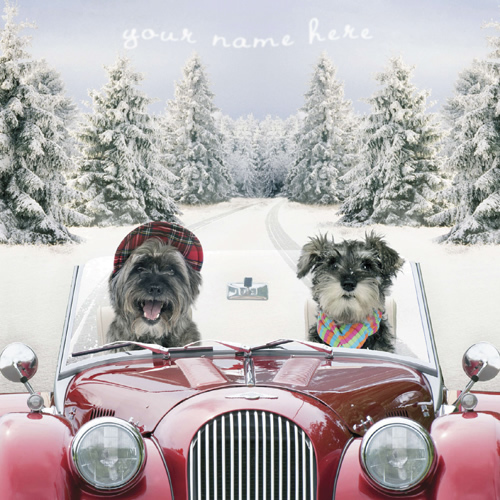 Add your name at the top of this fabulous Christmas card, named after that classic Christmas song 'Driving Home for Christmas' by Chris Rea. This is destined to be a popular design as these two great characters are guaranteed to put a smile on the face of everyone on your Christmas list! Please note: Your choice of greeting and personalisation will be printed directly onto the inside of your cards, and not on a paper insert. By purchasing the Driving Home for Christmas Christmas card 10p for each card you purchase will be Donated to the Charity of your choice from the Charities listed below.